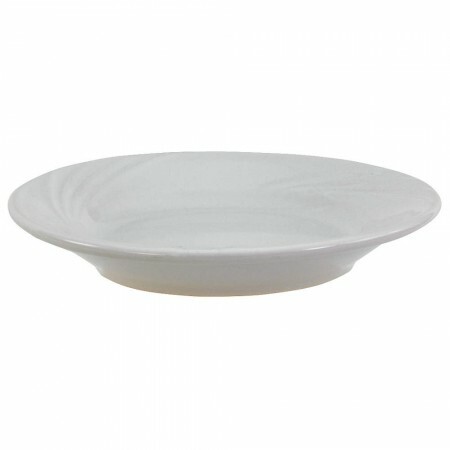 An excellent option for restaurants, hotels, or any type of function, the Crestware RE41 Dover White Rolled Edge Plate 5-1/2" is a stylish and practical dinnerware piece. Designed with a wide rim and rolled edge, this plate beautifully frames food while its bone white finish provides a classic backdrop for food. As attractive as it is durable, this vitrified ceramic plate has a delicate look but is sturdy enough to be used in the oven and microwave. Convenient to use, this round plate is dishwasher safe for quick cleanup.